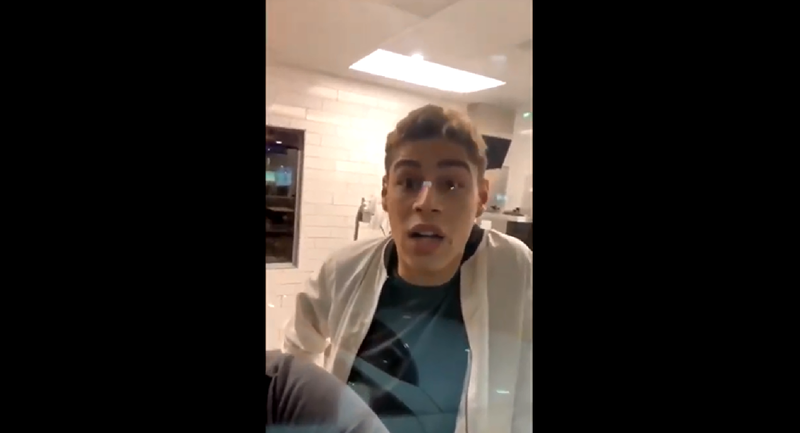 Video filmed by the customer, who has been identified as Zacch Barnes, shows the warring parties mid-confrontation as another restaurant employee is seen on the phone with local police at the drive-thru window. It is presently unclear what caused the argument. The footage begins with a shocked Barnes repeatedly yelling out, "You just called me a n***er," as the unbothered employee walks back toward the drive-thru window to inform Barnes that he simply doesn't care. 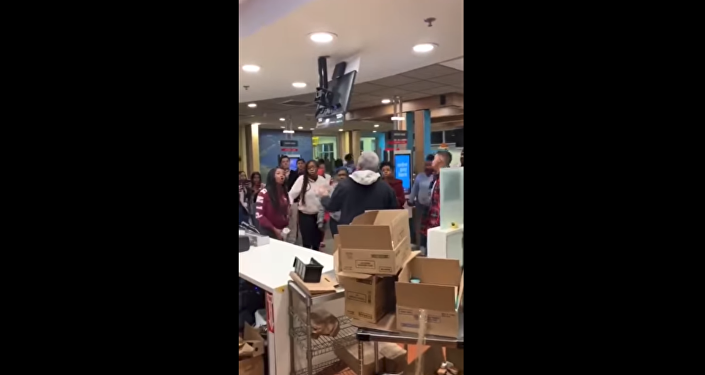 ​"I don't care, I don't care," the McDonald's employee is heard saying. "I don't give a f**k. Don't give a f**k. Don't give a f**k, n***er!" And with that, the individual walks away, making his way back to the center of the McDonald's kitchen area. Then, just a few seconds after Barnes informs the growing cluster of employees that they're going to get fired over their handling of the incident, the slur-slinging employee returns to the scene of the crime to ask Barnes if he "wants to get f**ked up." "I will f**k you up, you f**king n***er!" the employee adds, before walking away from the window once more. The remainder of the video shows Barnes telling three employees, including the worker who repeatedly used the slur, that they will be getting fired. Since the altercation last week, McDonald's has revealed that the franchise dismissed the employee who used the slur, telling Sputnik on Tuesday that the "employee displayed improper and unacceptable conduct and is no longer with the company." "This behavior goes against the values and standards that I expect from employees in my restaurants," the statement from Javier Ilias, the franchise's owner, added. No charges have been filed in the matter, and the two other employees seen standing by the drive-thru window have not been disciplined over the incident, the Post reported. This latest incident is yet another example of rowdy interactions that too often take place at fast food restaurants across the US. Most recently, another McDonald's restaurant in the Sunshine State saw a customer attacking an employee over the restaurant's straw policy. The aggressor in that situation, identified as customer Daniel Willis Taylor, was later arrested and booked on two battery charges.